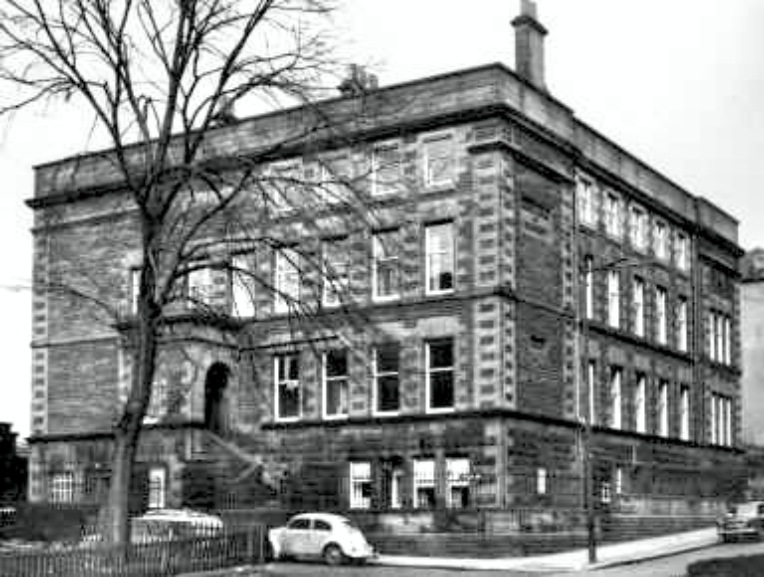 Old photograph taken in 1964 of Whitehill Senior Secondary School in Whitehill Street, Dennistoun in Glasgow's east-end...... many Bridgeton pupils went to this school from John St School to complete 5th year studies. June 2014, messageboard, Agnes Lagden (nee Barr). Age 66, Livingston, Scotland. My cousin, Donald Robertson, told me about this website and I've enjoyed trawling through it. It's amazing the way all these Glesca folk are scattered all over the world. I've only moved 40 miles along the M8 but via Lancashire, Hertfordshire and London. I went to Haghill Primary then Whitehill Senior Secondary (both, I believe, long gone). My late mother, Catherine Robertson, was "dux" of Bernard Street Secondary c1928 so it was sad to see that it had gone too. Thanks Webmaister (Wull) for an interesting website and to Donny for telling me about it. If anyone remembers me please get in touch. BTW - I notice someone mentioned a Miss Tudhope. I'm sure this must be the same maths teacher I had at Whitehill and who in 2 weeks made me understand the mysteries of algebra - a feat a previous teacher had failed to do in 6 months! PS I wish there had been IT in my time then I wouldn't be making such a hash of posting this. Apologies if it appears more than once.